news The Victorian Government has unveiled a new body that is aimed to accelerate startups, drive new ideas and create jobs in the state. Dubbed LaunchVic, the body will provide the “right environment” for entrepreneurs to develop, incubate and grow early stage innovative businesses, backed by the state government’s $60-million startup fund. LaunchVic will invest in core infrastructure, improve access to funding for local startups, advocate on Commonwealth legislation and regulation, as well as engage in startup events, campaigns, competitions and mentoring programs. The $60m fund – a key election commitment from the government – will be provided over four years from the $508m Premier’s Jobs and Investment Fund. 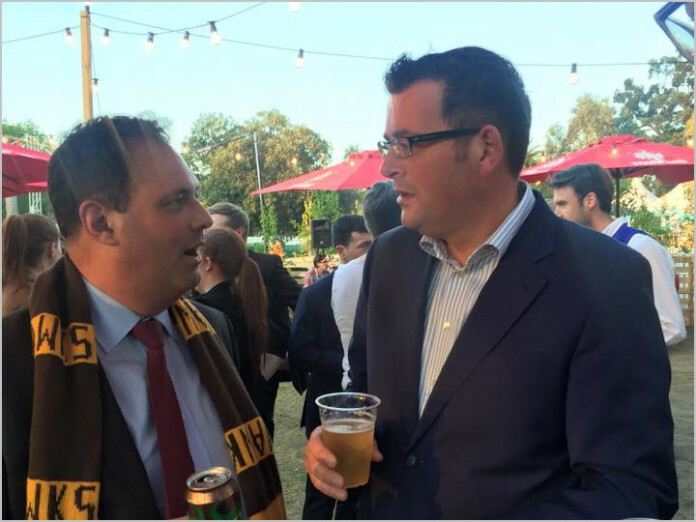 The announcement was made by Minister for Small Business, Innovation and Trade Philip Dalidakis (pictured, above, with Victorian Premier Daniel Andrews), who said he has been working with Victoria’s startup community, as well as “locally grown” success story 99designs, on the “branding, identity and form of LaunchVic”, to ensure it can best help new businesses grow. “We want Victoria to be the location of choice for startups worldwide, and LaunchVic will make it happen,” said Dalidakis. “The recent moves to Victoria from leading tech companies Zendesk, GoPro and Slack show that it’s within our grasp. The minister also announced that LaunchVic will be headed by Dr Pradeep Philip, former Secretary of the Department of Health and Human Services, who will take on the role of CEO. “I am excited to lead this initiative, which is another great example of Victoria’s commitment to investing in a world class innovation ecosystem that will see our brightest business minds thrive,” said Philip. Philip will be supported by an advisory board of industry experts, who will work to strengthen and build Victoria’s startup ecosystem. “We want to work with existing organisations in the startup ecosystem to collaborate and build together a successful startup sector that will help boost jobs, grow private investment and exports and further strengthen Victoria’s economy,” Philip said. SAVE ME! LET ME BE A NEW START UP! MY WIFE, START ME UP!